Following your auto collision, you do the responsible thing and check on the occupants in the other vehicle. Seeing that everyone seems to be fine, you survey the damage to your vehicle with a wince. You pull out your license and insurance information, eager to exchange the necessary phone numbers and so forth before the arrival of law enforcement. But alas, the other driver’s reluctance to share pertinent insurance data turns into an admission that he simply has no insurance information to share. You’re lucky there are no medical issues on top of the property damage, but what if there had been? 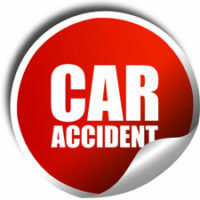 Who is responsible for the bills after an accident with an uninsured motorist who was at fault? What steps must be followed in order to collect funds? An experienced personal injury attorney can help you with these and other questions. Automobile insurance is a requirement under Florida law. Drivers caught without it are susceptible to fines, license suspension, and vehicle registration revocation. Even so, Florida touts one of the highest rates of uninsured motorists in the nation, with just below 25 percent of drivers failing to secure insurance coverage. The mandatory minimum policy for property damage is $10,000, which is designed to address impairment to your vehicle. This policy will kick in to take care of damages even if the accident was not your fault. So following an accident with an uninsured motorist, particularly an accident involving injuries, what happens? Fortunately, if you have insurance yourself, you do have Personal Injury Protection (PIP). This is, at minimum, a $10,000 no-fault policy that all drivers must purchase, designed to address immediate medical costs following a collision. Many drivers purchase PIP policies that far exceed minimum required amounts. Even before fault is determined, initial medical costs will be covered by a PIP policy. $5,000 in death benefits per fatality may be paid. Payments are generally not made related to pain and suffering. Can I Sue an Uninsured Motorist? You have the right to try to settle any issues in a court of law, but it may not always be a profitable venture. Unless the party you are suing has resources you can access, you may be wasting your time. If you are involved in an accident with an uninsured motorist, let the knowledgeable team at the Law Offices of Robert W. Elton in Daytona & Ormond Beach help you figure out how to proceed. Our attorneys can help you determine the best route to getting the funds you need following a collision. Schedule your free, confidential consultation today.